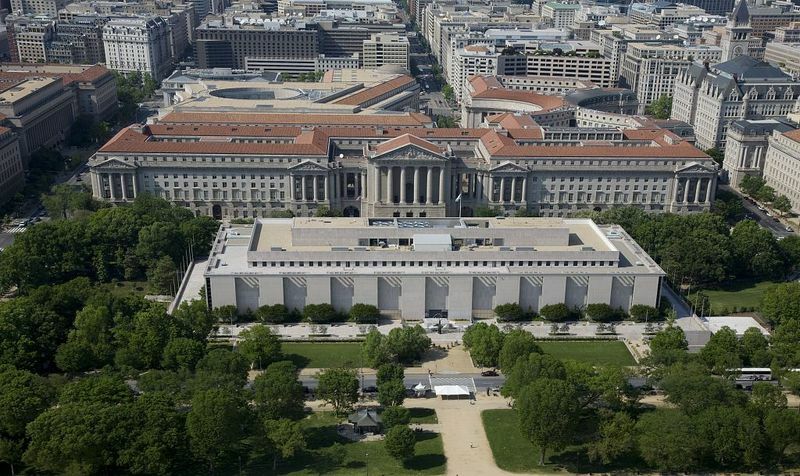 Aerial photograph of Smithsonian's National Museum of American History: Kenneth E. Behring Center. NMAH's collections and curatorial expertise made it an important partner in the creation of the Object of History. The Object of History is the product of collaboration between staff from Smithsonian’s National Museum of American History (NMAH) and George Mason University’s Center for History and New Media (CHNM). Collaboration combined NMAH’s access to museum objects and relevant curatorial expertise with CHNM’s experience in partnering with local educators and building websites for history education grants. That such a large number of people were involved in the creation of the Object of History reflects the collaborative nature of digital humanities. Furthermore, the Object of History project demonstrates that managing the many and varied aspects of a digital humanities project requires not just a large team but a team with a diverse range of expertise. One Senior Museum Specialist (Judith Gradwohl) and three Museum Coordinators (Matthew MacArthur, Benjamin Bloom, Patrick Coleman) made up the project staff from NMAH. Their responsibilities included coordinating the involvement of curators and museum administration, developing QuickTime Virtual Reality (360° panoramic photos) of the objects, and disseminating information about the project within the museum community. 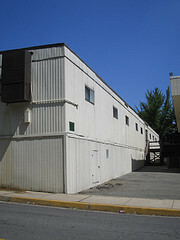 Pohick Module, home of CHNM (2002-2006) during the early stages of the Object of History. CHNM's experience creating online resources for teaching and learning with primary sources perfectly positioned the Center to develop the Object of History. At CHNM, the project staff started out as one Senior Historian/Primary Investigator (Roy Rosenzweig), one Project Manager (Sharon Leon), and one Education Coordinator (Eleanor Greene). When Roy Rosenzweig passed away in October 2007, Sharon Leon and Tom Scheinfeldt took over as Co-Primary Investigators. CHNM staff responsibilities included coordinating the development of content and technology, liaising with educators, overseeing the production of instructional materials for teachers, organizing outreach efforts, and implementing measures for evaluating the project. Also involved in all phases of the development of the Object of History was a planning and advisory committee that included, in addition to the principal coordinators from NMAH and CHNM, two NMAH curators (Barbara Clark Smith and James Gardner) and two veteran high school teachers from the National Capitol area (David Kobrin and Elizabeth Butler). A number of historians and NMAH curators contributed to the project by participating in video and audio interviews (Larry Bird, David Shayt, Barbara Clark Smith, Fath Davis Ruffins, William Yeingst, Peter Liebhold, Lisa Kathleen Graddy, Mike O'Malley, Paula Petrick, Rosemarie Zagarri, Stephen Pitti, Steven Lawson). Additional NMAH curators participated in brainstorming objects that could be used for the site.